Sequoia Landscape is a small landscaping company that has been providing landscape services to the South Shore area for 18 years. Their focus is and always has been delivery outstanding service and value to their clients. 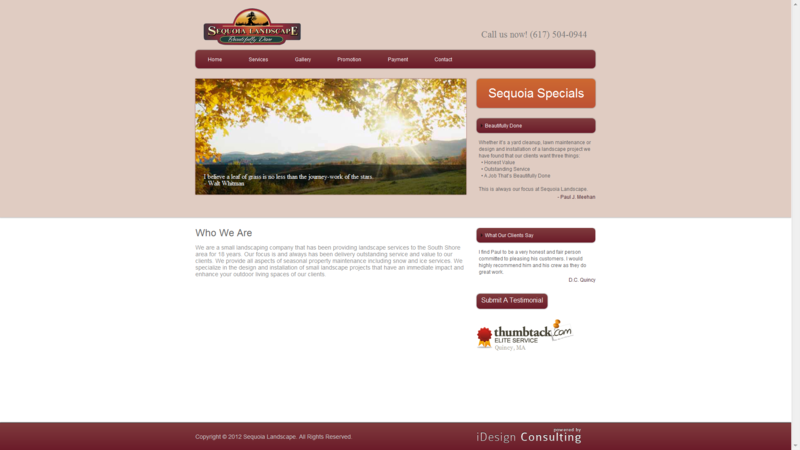 Sequoia Landscape provides all aspects of seasonal property maintenance including snow and ice services. They specialize in the design and installation of small landscape projects that have an immediate impact and enhance your outdoor living spaces.